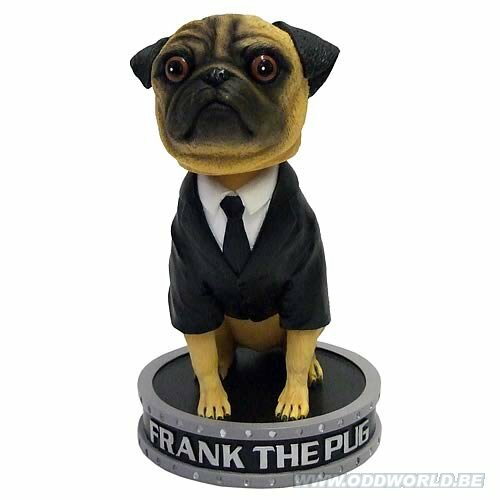 Based on the hit film series Men In Black comes this Men In Black Frank the Pug Bobble Head. The Men In Black film series revolves around a secret organization known as Men In Black, they are responsible for monitoring the extra-terrestrial life forms on planet Earth. In addition to monitoring extra-terrestrial life forms the Men In Black have prevented their share of intergalactic wars. Frank is an alien in a pug suit as his disguise and lends a helping paw to help the Men In Black. Frank stands about 8-inches tall, base included. Order yours today! Ages 14 and up.